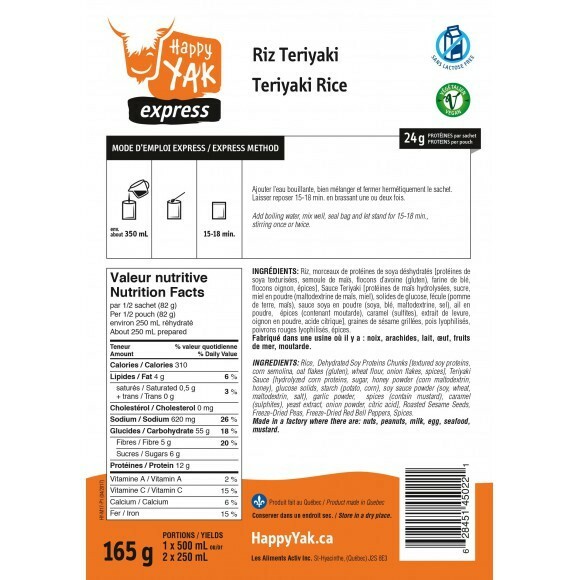 Happy Yak’s Teriyaki Rice is one of a kind with its white rice seasoned with a delicious Teriyaki sauce and generously garnished with cilantro, soy flakes and tender vegetables. Sesame seeds and roasted sunflower seeds add flavor and crunch to this meal that is ready in no time. Just add boiling water and voila!.